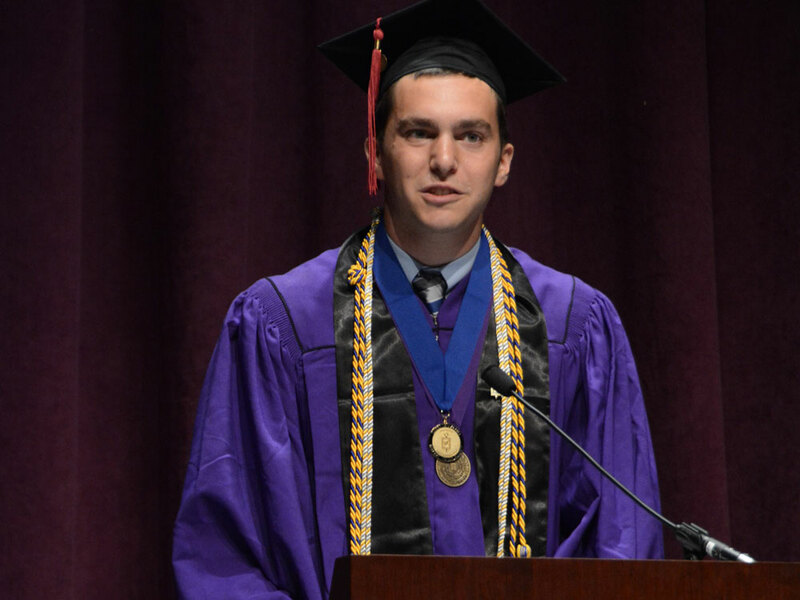 Above, Medill alumnus Tyler Pager, who was the valedictorian of his class, speaks at Medill's graduation ceremony in June 2017. In January 2018, Pager won Nicholas Kristof's win-a-trip contest. Medill alumnus Tyler Pager (BSJ17) has been selected to travel this summer with New York Times Pulitzer Prize winning journalist Nicholas Kristof. Pager, who is currently a graduate student at University of Oxford, said Kristof’s contest has been on his radar for several years. He said his winning essay stemmed from a conversation Pager had with Kristof after he spoke at Northwestern in 2014. Pager covered the event for The Daily Northwestern. Pager said he is looking forward both to the reporting trip and to working with Kristof. “I hope our work brings to light the pressing issues facing a region that is often neglected by mainstream media outlets. Nick has an incredible platform, and I'm excited to work with him to dive deeper into issues of global poverty and social justice,” Pager said. “Nick’s work has transformed the discourse around many of these issues, and I hope I can play a role in furthering the conversation. I also know we will learn a great deal from the people we meet during the course of our travels, and I hope to share their stories and teachings with readers.